Pre-keto spaghetti was a staple in my diet. I could load up on bowl after bowl of the stuff. Something about the tender pasta mixed with a rich marinara sauce got my blood moving! Well, not literally, but you could say my affections were strong for the stuff. Post-keto I found that many prepackaged marinara sauces had added sugars. Seriously?! High fructose corn syrup?! I sought out recipe after recipe trying to find a sauce I would enjoy. After experimenting with some different combinations I finally came up with one I love. Garlic Basil Marinara. This sauce is great on zoodles (Get a Paderno Spiral Vegetable Slicer ! It’s amazing! More to come on this…), keto pizza or as a dipping sauce for cauliflower breadsticks. Puree your tomatoes in a blender until consistency is liquid. (Ninja blenders work great!) Add the remaining ingredients and blend it a little more until evenly mixed. Heat the sauce over medium heat until hot. Serve however you’d like! 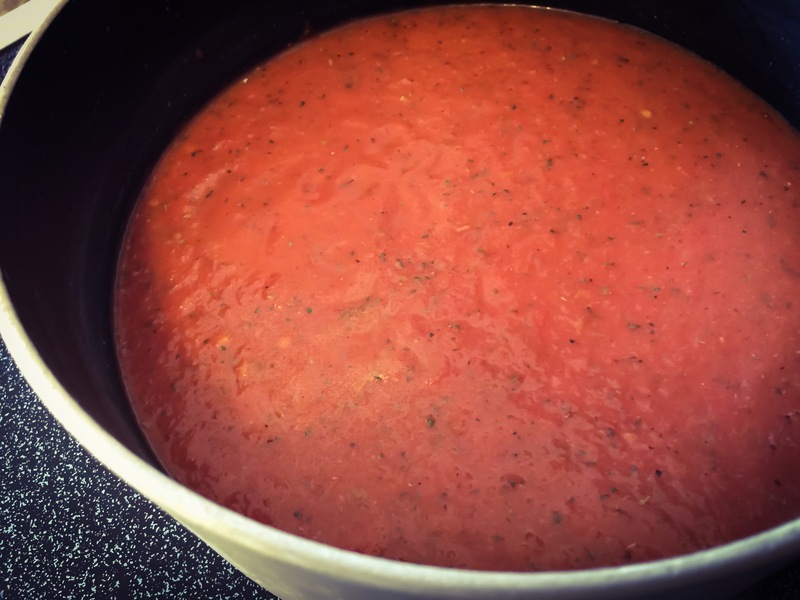 This entry was posted in Dinner, Recipes, Side Dishes and tagged Dinner, easy, idea, keto, lchf, lite salt, low carb, Lunch, marinara, meal, oil, parmesean, quick, sauce, spaghetti, supper by Jeff Levers. Bookmark the permalink.